Nothing good ever came from taking a walk in the woods – not in the history of the movies at least. From the campers of Friday the 13th to the film students of The Blair Witch Project, a stroll through the pines is just asking for trouble. 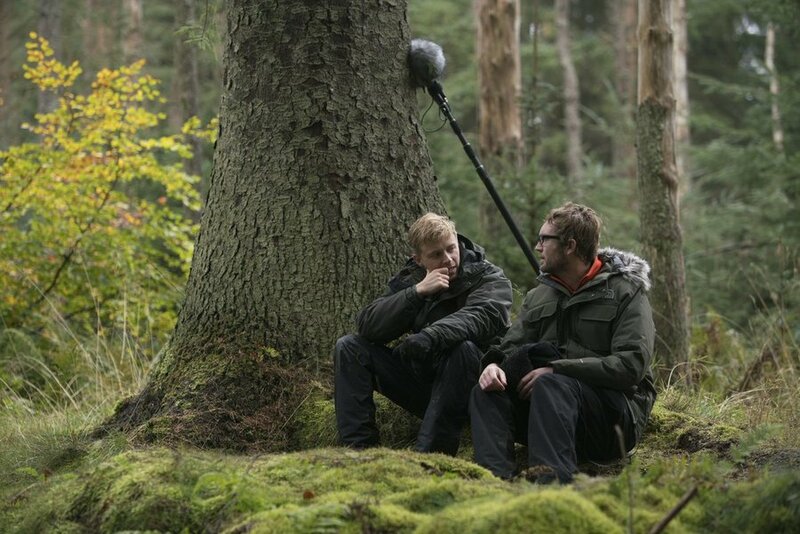 This is something Vaughn (Jack Lowden) and Marcus (Martin McCann) learn the hard way in Calibre, a sparse, slow-burn thriller set over a weekend hunting trip in the Scottish Highlands. 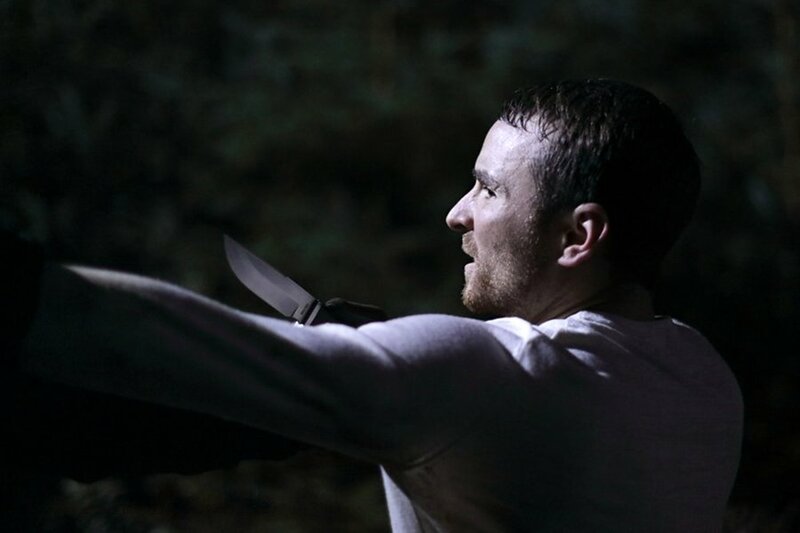 Written and directed by Matt Palmer, Calibre belongs to a rich lineage of films concerning city slickers venturing into the wilds for a relaxing getaway, only to find violence and death. John Boorman’s Deliverance is the obvious touchstone, and like that 1972 film, Palmer's picture utilises the wild, open landscape to menacing effect. “I was sitting on the sofa one night with my eyes closed, almost half asleep,” he recalls, “and I just saw this image in my mind.” What he describes seeing is the central image of the film, and it's very much the fulcrum incident that turns this weekend of male bonding into a verdant, mud-speckled nightmare. Suffice it to say, it’s too spoilerific to reveal here. “From there, I very carefully built the film around that image,” he explains. Palmer’s film doesn’t just share thematic DNA with Deliverance. Calibre’s atmosphere, lived-in look and classical film grammer – all slow dissolves and crisp widescreen images – makes it feel like it could have been plucked from the same era of filmmaking, an era where horror films seemed less enthralled to rigid genre conventions. Palmer agrees that his film’s aesthetic and pacing is closer to a 70s movie. “In the last decade or so, something has happened where genre movies have become kind of Genre Movies in capital letters, so you expect to go and you expect massive bloodshed and cars flying off cliffs and nuns having their heads chopped off, or whatever it is,” he explains. “Those kinds of movies are a lot of fun, but it seems like the kind of genre movies that existed in the 70s, there’s not so much space for them anymore. A few years later Palmer made his first short film The Gas Man, and on a whim asked Györi, director of photography on Katalin Varga, to shoot it. Much to Palmer’s surprise, the Romanian said yes (“I think he got paid £100 for five days”) and they’ve been sympatico ever since. “It was like we just had the same brain,” he says. Palmer’s real coup, he says, was casting the on-the-rise Scottish actor Jack Lowden – who’s fresh from playing Tom Hardy’s wingman in Dunkirk – as his likable lead character, Vaughn. Lowden has become something of an EIFF stalwart. He was the star of the festival’s 2016 opening film Tommy’s Honour, a solid but dour golfing drama, and in last year’s closing film England is Mine he played a young Morrissey. Calibre is an improvement on both those films, and a much meatier role for Lowden, but Palmer admits he’s been lucky to get his leading man. Lowden certainly impresses, but we reckon the real find is Martin McCann, the actor who plays the flinty Marcus, Vaughn's more morally complex best friend. McCann’s performance came as much of a surprise to Palmer as anyone. “I think Robert Altman said, ‘I’ve never read a script that’s in 3D’. You can write and tweak all you like, it’s only when the actors come on and inhabit those characters that it fully takes shape,” says Palmer. McCann’s casting saw the film take on a shape that Palmer hadn’t quite envisioned on the page.